On arrival to hotel we had travelled approx 2 hrs and we needed showers, there were no towels in room and one shower gel between a family room, asked chambermaid for towels but no joy and then asked at reception, They left one large towel and a small hand towel. Barman on 1st night was rude. Breakfast was a disaster cold and worst breakfast I ever had in a hotel, it was cold and not tasty. Second night in hotel was better film for children and food in bar was amazing and barstaff couldnt be nicer, swimming pool and facilities were fab, good value for money considering bad start, could do with modernising room carpet had a big rip in it. Really enjoyed one night stay at Regency Hotel. Room was spotlessly clean and comfortable. Would love to have turned off heating as room was very warm. Staff were friendly and helpful. Delicious breakfast also. Well done. Really disappointed with the Regency hotel. The hotel is really run down and looks like it hasn't been modernised or updated in a very long time. The rooms are old fashioned and the carpets don't look very clean. The view from our room was terrible -looking out at dirty old pipes. The rooms do not have irons - instead the hotel has an ironing "room" which is basically an old room (also with dirty carpet) an ironing board in which the cover doesn't fit and an iron. Breakfast was probably the worst breakfast I have had in a hotel (the other 5 guests in our party agreed with this) - nothing tasted good, the sausages and bacon tasted funny and the black and white pudding where gooey and salty. There was no fresh fruit available - only tinned fruit in large bowls. Definitely would not recommend staying here and wont be visiting again. Lovely hotel , friendly staff , room was big and view was amazing at night time . We enjoyed this hotel, its in a great location close tot he city and the M1. We had a lovely curry in the bar on the evening of our stay. I would suggest maybe some kind of a discount for guests using the carpark. Good hotel, will def book again. The hotel itself was fine but when we arrived they had no record of our booking and it took about 15 minutes to sort this problem out. The receptionist sad that our booking had not been recorded on their system but it was in a back office computer. The room was nice but at 3.30am the fire alarm went off scaring the life out of us! It went off again at 10am.the receptionist said it was due to steam from the showers. (Can't imagine too many people having a shower at 3.30am! )The breakfast was lovely and the pool very relaxing. Was a bit surprised at having to pay extra for parking the car there at night. Overall a nice stay. Were just happy to get a nights break from the kids!! 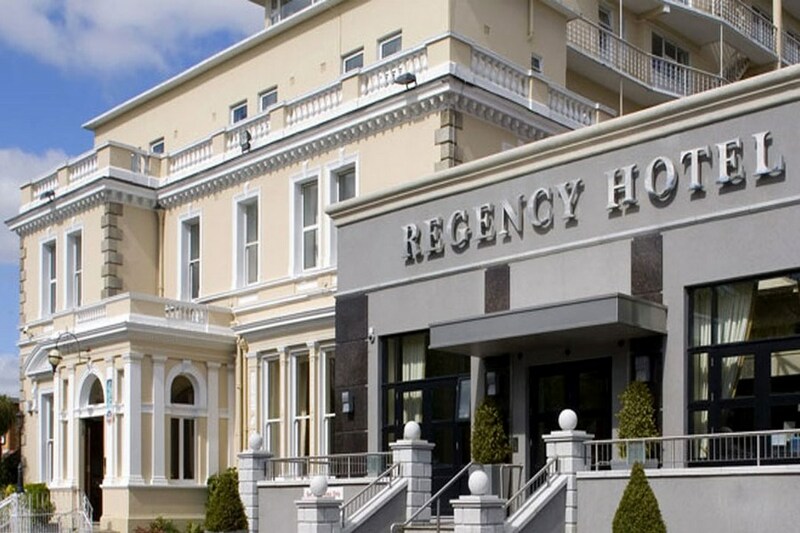 My friend & I stayed in the Regency Hotel last week. The hotel was first class, the staff were friendly and helpful, the food was excellent and overall we had a very enjoyable stay. I would definitely recommend it. Bedrooms fine. Breakfast poor. Hotel convenient to city centre and airport. Nice pool. Friendly helpful staff, small basic room, very clean but due to the hotel being fully booked, long queues for breakfast. Not impressed with room. Very old fashioned, curtains hanging, phone in room not working,,dirt and crumbs under bed. Leisure centre and pool was nice for children. Certainly wont be returning. I enjoyed my visit to Dublin. 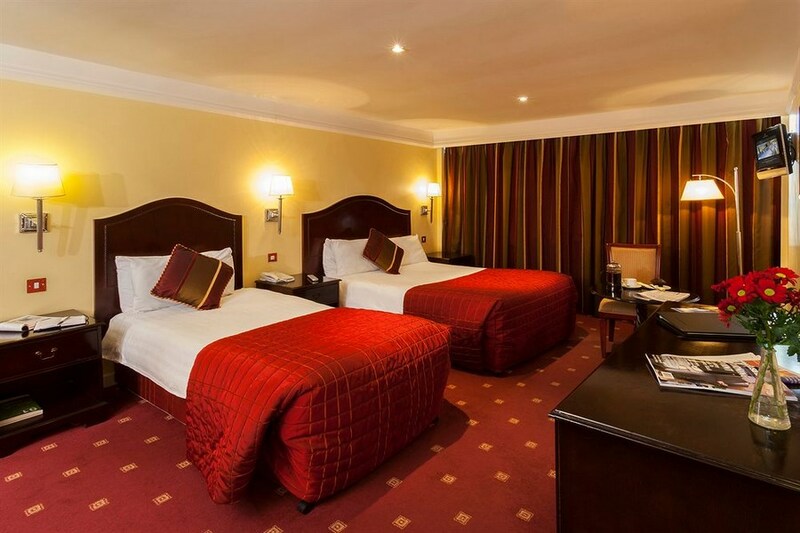 The Regency is reliable for good service and comfortable accomadation. Lovely hotel, friendly staff , safe car park and lovely food. It is my first choice when staying in Dublin. 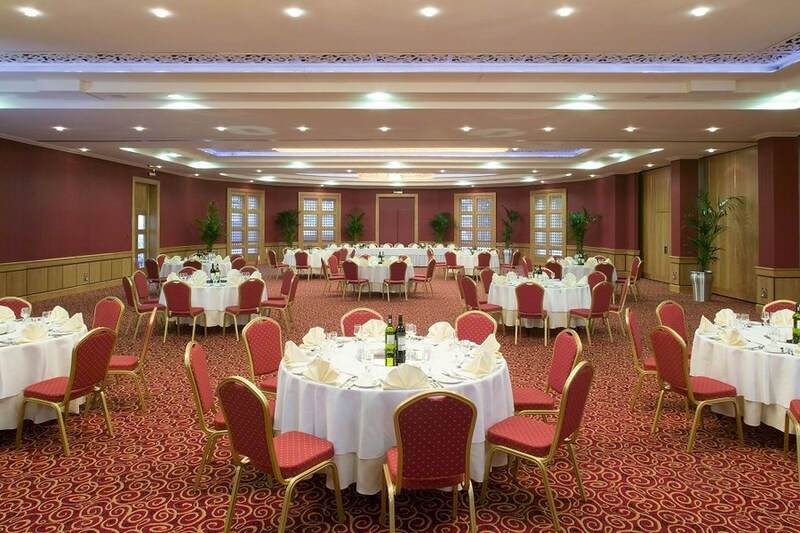 The Regency hotel is ideally located in Dublin city. The staff are very friendly. Excellent food in the bar. Leisure centre is very clean. Lovely venue to enjoy a break. Jim McCreight, Belfast We found the staff very friendly, rooms were fine and the breakfast was great, apart from the lengthy queue on Sunday morning.....lots of people gave up but we persevered and got into the restaurant. Unfortunately we couldn't get a restaurant booking for our party of 14 for Saturday night which is what we required and we all had to either dine at different times or some actually ate in the bar...which wasn't as good as the restaurant. Great location and value for money....will definitely be back. Easily the worst night's sleep I've ever had in a hotel. It all started so well...my sisters and I booked a triple and we were delightfully surprised as our room looked like a honeymoon suite - superking bed, 2 tv's, large bathroom with jacuzzi bath, power shower and lounge area with view over Dublin to the hills - beautiful. (Only one bed and towels for 2 though so we called reception and a small fold away bed was produced - comfortable enough). Shortly after check-in a knock on our door revealed a member of staff who asked if we would prefer a different room with 3 single beds. He took us on a long hike to the 5th floor via lift, staircase and miles of corridors to show us a smaller room, with view of internal roof of the hotel. It was a no-brainer, our room was much nicer so we elected to stay put. Warning bells started to ring when we heard the hotel was fully booked and there was a Christmas show on that evening. Our neighbours arrived at 6pm and put on music that was loud enough to have a party in our own room, they also smoked. At dinner we were delighted that the "vegeterine" option on the menu was "glutton" free (wish I had kept a copy of that!). By the time we headed for bed later in the evening the Christmas Party show was on full swing, we manged to fall asleep lulled by the throbbing bass undertones but were rudely awakened at 2:30am by the announcer wishing everyone a goodnight. At 3:15 we were even more rudely awakened by our neighbours returning to continue their party in their room. They switched on their music and their vocal chords to full effect. We and the people staying on the other side called reception who kindly sent a gentleman to deal with the 'ladies'. By 5:45 the exhausted man finally broke up the party. Admittedly, the hotel cannot be blamed for the type of people who choose to stay there but I feel their measures of eviction could be more immediate. Also, they need to advise guests who wish to actually get an early night and a sleep to not stay there (close proximity to airport means likelihood of early departure and need for rest). Sadly, we couldn't use the fancy bath as the plug would not stay down so the water ran out, the shower was blocked so the water would not go down, the power function panel in the shower didn't work, the bathroom was freezing as the heated towel rail didn't work, the main tv had no signal but we could at least watch the small one in the cupboard. We wished we had taken the smaller room on the 5th floor. The best part of the stay was undoubtedly the lovely friendly staff, from reception to dinner staff, they were all fantastic but make sure you ask them before you book whether there will be a show that night. We stayed here for 2 nights. On arrival we had to wait half hour as our room wasn't ready, which meant hanging around the hotel with 2 tired kids after a 4hour drive at 3.30pm in the afternoon. I had asked to be put in the new side of the hotel to find out it wasn't available even thou I had booked a month in advance. Our room was very basic and really old, the sockets were hanging off the wall and I'd to request towels, we had our dinner that night which was basic and cold when it reached out table I asked for salad dressing which never arrived and was left with a plate of lettuce and a blob of apple sauce, , the kids were starving their chicken nuggets were like rocks. The following morning we queued for half an hour outside the dining room to get seated for breakfast which was ok, I mean toast and tea and cereal isn't that hard. However the swimming pool is great and the staff in the leisure centre were lovely unlike the hotel staff. I personally wouldn't recommend this hotel to people staying with family's and to top off the stay I have to pay for parking. Enjoyed our stay at the hotel - room was spacious and clean. Really enjoyed the leisure centre - The kids loved it - water was lovely and warm and the shower were hot. changing rooms clean and warm. Staff were friendly and breakfast was lovely. Only problem was the fold up bed we got (as we were a family of four) was terrible and won't expect anyone to sleep on it. We had to put our beds together to sleep the four of us. Would definately return.